Thinking of where to spend the next family vacation? We say Orlando is your perfect choice. With hordes of theme park and water park options that your entire family can enjoy together, Orlando gives you an unforgettable holiday experience. 1. Magic Kingdom: The kids would enjoy the magical world of the Disney Kingdom with their diverse Disney Characters. Along with the varied attractions for your family this theme park has to offer, you can also have a royal dine at the Cinderella’s Royal Dining Table where Cinderalla herself would serve you! 2. Epcot: Epcot (Experimental Prototype Community of Tomorrow) is dedicated to the celebration of human achievement, namely technological innovation and international culture, and is often referred to as a “Permanent World's Fair.” Whilst at the park do not miss the glorious IllumiNations: Reflections of Earth show with colorful fireworks and fountains every evening around 2100 hours just before the park is about to close. 3. Universal Studios: Universal Orlando is the largest property operated by Universal Parks & Resorts. It is also the largest resort in Orlando, Florida, and the second-largest resort in Greater Orlando after Walt Disney World. 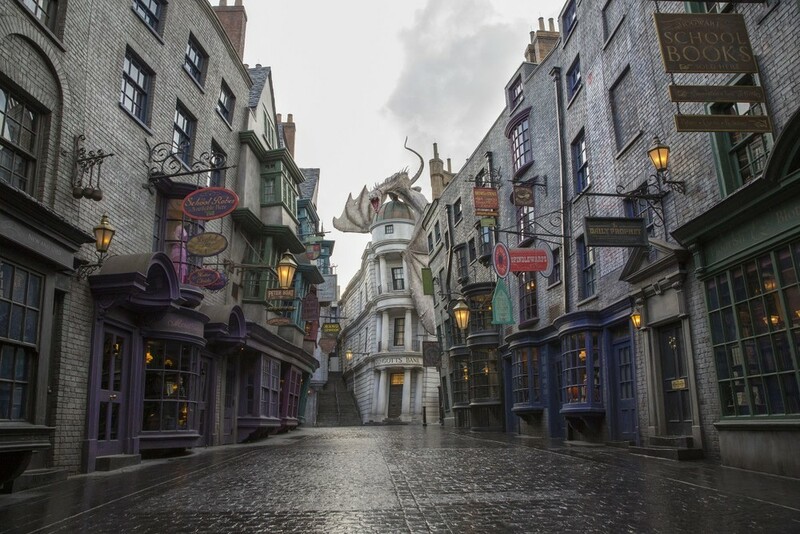 Their wizarding world of Harry Potter at the Island of Adventures is a must visit. Post a day filled with adventure you can also dine in at the Citywalk restaurant. 4. Sea World: Sea world is a great place for everyone who enjoys marine life. You get to see, learn and interact with a variety of sea creatures from different parts of the world. The Dolphin show at Sea World shouldn’t be missed. 5. Gatorland: Gatorland is a theme park and a wildlife preserve. Here you will find thousands of alligators and crocodiles and other reptiles in their natural habitat being taken care by the park. There are numerous shows and workshops where they enhance your knowledge about these feared animals. 6. Aquatica: Part of the Sea World chain, Aquatica is a great waterpark for a family holiday. You can simply relax by the big surfer’s shore or race with your family members at the Taumata racer or laze around on the best lazy river down the loggerhead lane while watching the different tropical fishes. Kata’s Kookaburra Cove is a great place for your little ones while Walhalla wave is a thrilling ride for the entire family where you zoom through a 6-storey maze of twists, turns & tunnels. 7. Blizzard Beach Waterpark: One of the two of Disney’s waterparks, Blizzard Beach waterpark has an extensive set of rides for both the adults and children. You will have a bit more steeper choice of rides compared to other waterparks in the area so this is the best place to be for the adventure enthusiasts. 10. Typhoon Lagoon: You feel this is another Disney waterpark with endless list of activities? Well here what’s so different about it… It has the largest and thunderous waves which gulps you down like a tsunami. Along with the park’s Surf Pool the park also entices its visitors with the fish snorkeling, lazy river, Gangplank Falls, Crush ‘n’ Gusher. If these weren’t enough and have more time to spare at this perfect family holiday city, do visit Disney’s Hollywood Studios, Legoland, Discovery Cove, Wet N Wild, Fun Spot. Also, for the science lovers a visit to the Kennedy Space Centre is a must.